Napa city officials say 822 buildings have now been tagged unsafe after sustaining damage from Sunday's magnitude-6.0 earthquake. 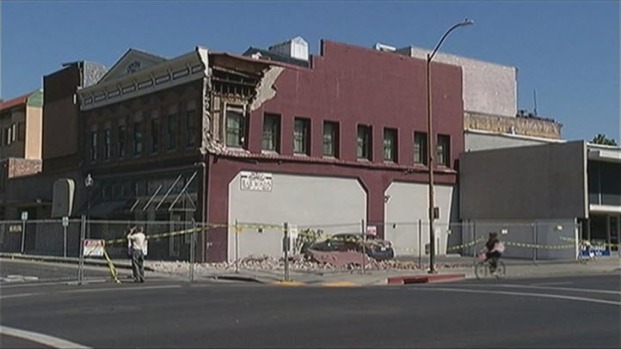 The city now estimates damage from the quake at $362.4 million. Nearly every restaurant on Main Street was shut down by the city on Thursday after authorities examined and tagged the buildings. "It's just a hard one to swallow," said Sam Badolato, a chef whose restaurant got red-tagged Thursday morning. "We're no good outside. I'm way better in the kitchen running the restaurant." Badolato and other business owners are waiting for guidance from the city on what it will take to start serving customers again. Napa city officials say 822 buildings have now been tagged unsafe after sustaining damage from Sunday's magnitude-6.0 earthquake. Jodi Hernandez reports. Damages from the quake also extend to the Napa County Jail. "I'm holding onto my bunk thinking I'm about to get tossed out," says Victor Graham, who was in a small jail cell with two other cellmates when the temblor struck. "I'm looking at the ceiling, 'Please don't come down on me.'" Graham says the quake left his cell with cracks in every corner. 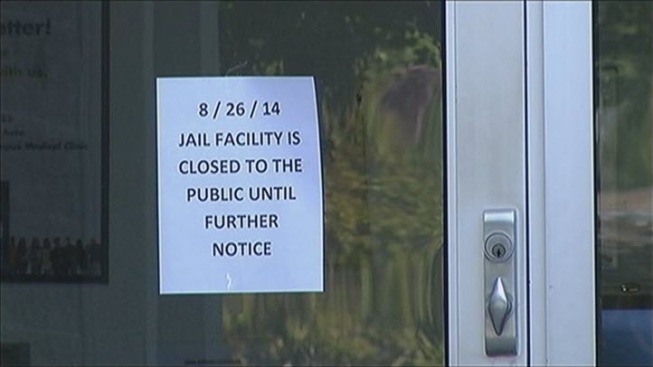 The jail's 203 inmates are still inside. Some say the inmates should be relocated, despite county officials insisting inmates are not at risk and are safe. "Everyone is the same in these situations," says attorney Abe Gardener, who is not being allowed inside the jail to visit his clients. "And just because you're behind bars doesn't make you any less human."